Thanks to Columbus Water & Light's participation in the statewide energy efficiency program, Focus on Energy, you may be eligible for free and discounted connected devices. Find out if you're eligible! 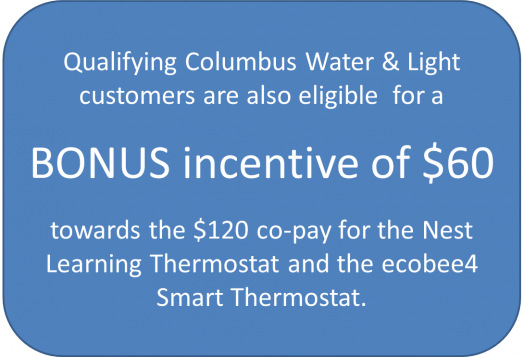 To apply for the BONUS $60 incentive from Columbus Water & Light, simply complete the following application and submit it, along with your Focus on Energy invoice.